Some rooms have a seating area for your convenience. You will find a kettle in the room. Each room is equipped with a shared bathroom. For your comfort, you will find free toiletries and a hairdryer. 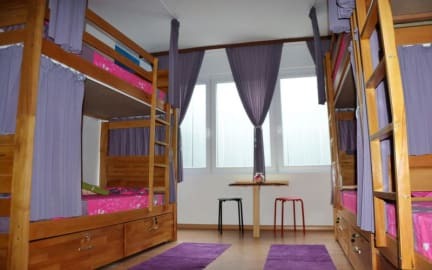 Skopje Hostel features free WiFi throughout the property. You will find a gift shop near the property. Macedonia Square is 200 m from Skopje Hostel, while Kale Fortress is 700 m from the property. The nearest airport is Skopje Alexander the Great International Airport, 16 km from the property. This property also has the best-rated locations in Skopje! Guests are happier about it compared to other properties in the area.